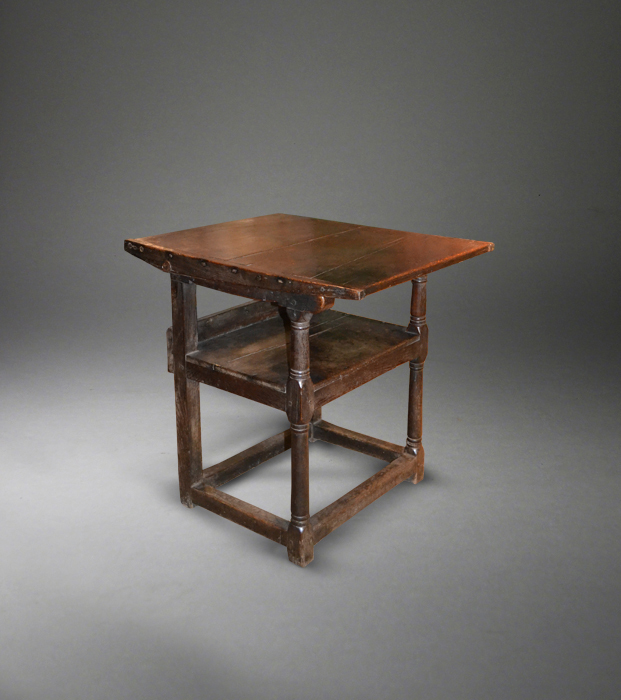 Suffolk House Antiques | Two interesting pieces of early oak furniture. TWO INTERESTING PIECES OF EARLY OAK FURNITURE. Just in, two good examples of early furniture - one is a 17th century oak chair table of simple form and with wonderful untouched condition and patination NOW SOLD. 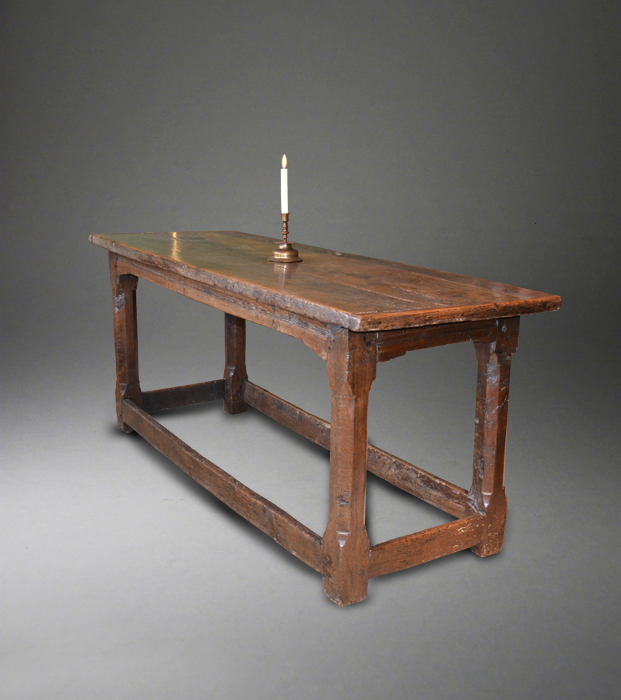 The other piece dates from the last quarter of the 16th century and is a framed table, possibly Welsh, with a cleated end top and chamfered legs incorporating the type of stop chamfers often seen on architectural timbers of the period. Also just in, two East Netherlands oak carved figures - one a Madonna and Child Group, the other a much larger standing figure of Christ. Full details including dimensions and prices can be seen under the sections Chairs, Tables and Works of Art.